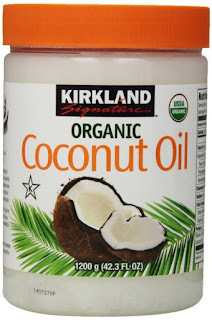 This review is for Kirkland Organic Coconut Oil which is available in a pack of 2 at Costco. The price I have seen varies from $24.99 to $27.99. One bottle is 42.3oz. I have been using this oil on skin and very rarely even in cooking. I have liked it so far and thinking of continuing to buy. With more and more usage of chemicals and adulteration in products these days we are trying to go organic as much as possible. Costco has very good products and is very economical most of the times. It is also available at Amazon Organic Coconut Oil at Amazon. Its been few weeks I posted the recipe for Huggi. Huggi is incomplete without this tamarind gojju. Its very tangy with a touch of jaggery and is a must accompaniment for rice dish like huggi or pongal. Huggi is very similar to pongal and I grew up eating it with sprinkling coconut oil on top and couple of tablespoons of this gojju. We would not eat huggi without this gojju. When I first made this for my husband he loved it.